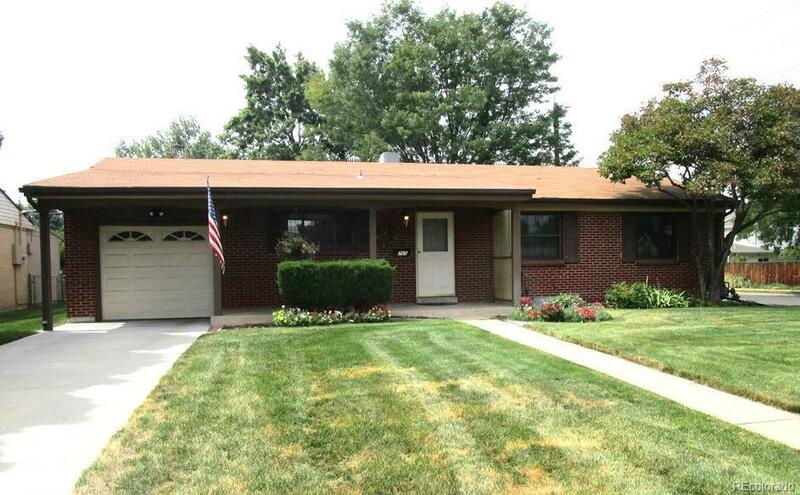 Cute, clean well maintained 4 bedroom 3 bath brick ranch just waiting for you to call this your home. Hardwood floors are hidden underneath the carpet. Curl up to the fireplace. Shoot pool on the pool table in the basement family room! Walk to Four Mile Historic Park! Enjoy your own garden or the man cave work area in the basement. The washer, dryer, refrigerator and freezer in the basement are all included along with the pool table. Needs some updating but good bones! Showings start with the open house August 25 at 1 pm.